Prime Minister Turnbull has clarified the Australian Government’s position – the new pathway to citizenship will not be affected by the changes to citizenship eligibility announced on 20 April 2017. Those who apply under this pathway should still be eligible for citizenship after one year. We are grateful to the New Zealand Government for seeking this clarification. The position of New Zealanders who seek citizenship through other visa pathways, including those who have already been granted permanent visas is, however, still not entirely clear. We will seek clarification on these matters from the Australian Government in the coming days and weeks. A special pathway to citizenship for expat New Zealanders living in Australia remains intact, Prime Minister Bill English has confirmed. A spokeswoman for English said he had spoken to Australian Prime Minister Malcolm Turnbull today, a week after Turnbull announced tighter citizenship rules in Australia. “Prime Minister Turnbull confirmed that the Pathway to Citizenship for eligible New Zealanders, announced in February 2016, has not been changed. “It remains in place and on track, and is separate from the citizenship changes which Australia announced last week. Under the changes announced by Turnbull last week, applicants for Australian citizenship must have held permanent residency for four years – up from one year. 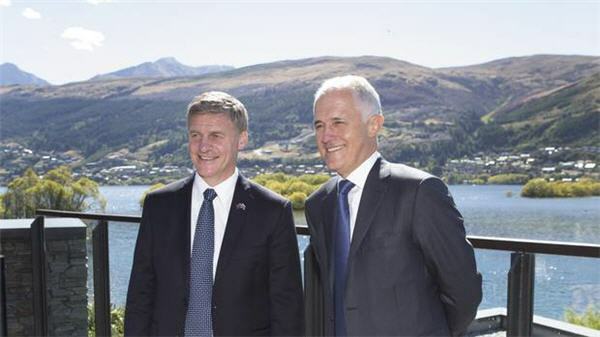 Expats were concerned that this would undermine an agreement signed off by Turnbull and former Prime Minister John Key last year, which made it easier for Kiwis to get citizenship if they arrived after immigration rules were tightened in 2001. The Turnbull-Key agreement allowed New Zealanders who arrived in the country between 2001 and February 2016 and earned at least A$53,900 for five consecutive years to apply for permanent residency. They could then apply for citizenship after a year. As Turnbull confirmed to English today, the immigration changes announced last week will not affect Kiwis in this category and they will retain the right to apply for citizenship after a year. Around 100,000 out of 300,000 New Zealanders who arrived in the country after 2001 are believed to be eligible for the special pathway. Until the 2016 agreement, post-2001 arrivals had to compete against other migrants for citizenship, which was capped. [Read the NZ Herald article].